When you load your firearm with Buffalo Cartridge ammunition, you can expect the ultimate shooting experience. That’s why it’s trusted by experts across the country. Our loads were developed by a world class competition shooter. We use only first-rate components. Our machinery is calibrated to the finest tolerances. Every production lot is ballistic tested for velocity, pressure, and consistency. And our quality control program ensures every single round is certified before leaving the building. 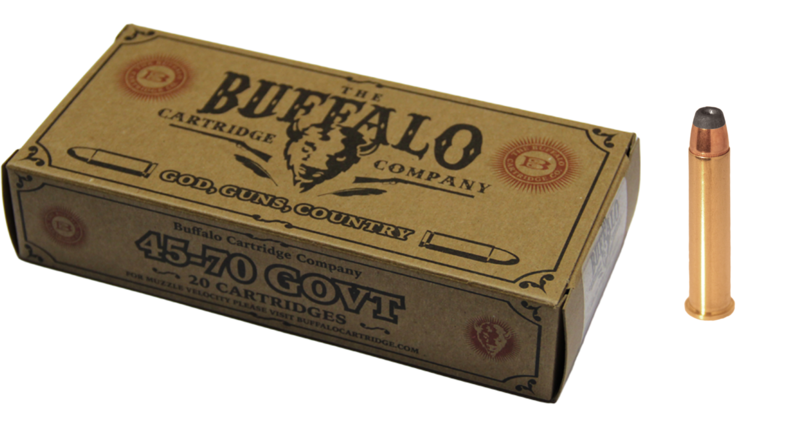 At Buffalo Cartridge, we don’t just promise accuracy and consistency. We deliver it. Every time you squeeze the trigger. Click here to learn more about our commitment to excellence. The 300gr Sierra© projectile delivers exceptional expansion and optimal power for whitetail. This load is specially formulated to provide comfortable recoil for the ultimate .45-70 hunting experience.